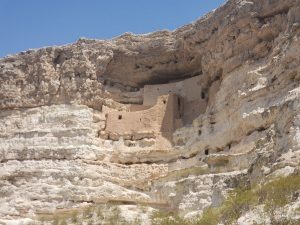 Recently we decided to visit Montezuma’s Castle National Monument. It was a great thing to do with kids and very educational. 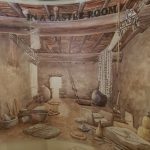 It is 5 story 20 room high-rise apartment, built over the course of 3 centuries and nestled into a towering limestone cliff that was once the home of the Sinagua people. The Sinagua were a culture closely related to the Hohokam between approximately 1100 and 1425 AD. 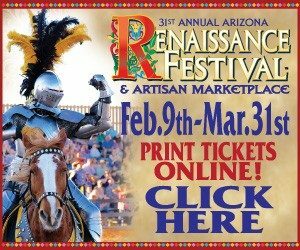 It is located Montezuma Castle Road Camp Verde, AZ 86322. From Phoenix Follow I-17 to exit 289 (90 minutes north of Phoenix, 45 minutes south of Flagstaff). Drive east (through two traffic circles) for approximately 1/2 mile to the blinking red light. Turn left onto Montezuma Castle Road. It is open 8-5 most days except holidays but please take into consideration the main gate is 1 mile from the visitor center and closes at 4:45. The cost to enter is 10$ per adult over the age of 16. Kids are free under 16. There are some free days so be sure to check their webpage to find out more. 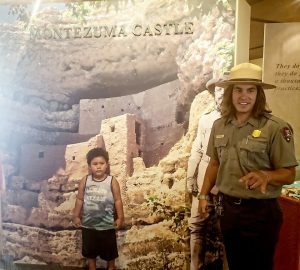 For the entire family : At the castle and at the sister monument Montezuma’s Well there are 1/3 mile hikes the entire family can take to look at the monuments and learn about the history.Park rangers do periodic presentations to teach about the history. There are also picnic areas to sit and relax with the family. At the castle monument there is a visitor center with a little museum. Inside you will find pictures, artifacts and historical information about the monument and its builders. For Kids: Junior Ranger workbooks are available free of charge for children up to 14 years of age at the Visitor Center. They have one for the younger age group and then ones for the older kiddos. 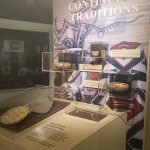 Kids can complete the activities in the book and recite the Junior Ranger Pledge and are awarded a special badge that identifies them as official Junior Rangers for both Montezuma Castle and Tuzigoot National Monuments. 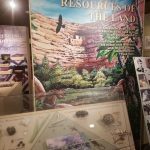 For More Places to Visit in the AZ area check out Head Up North Az and Out and About Indoor playground Museums Tours and Railroad Tours , Farm Hiking Gardening , Bowling and Trampoline and things to do pages.